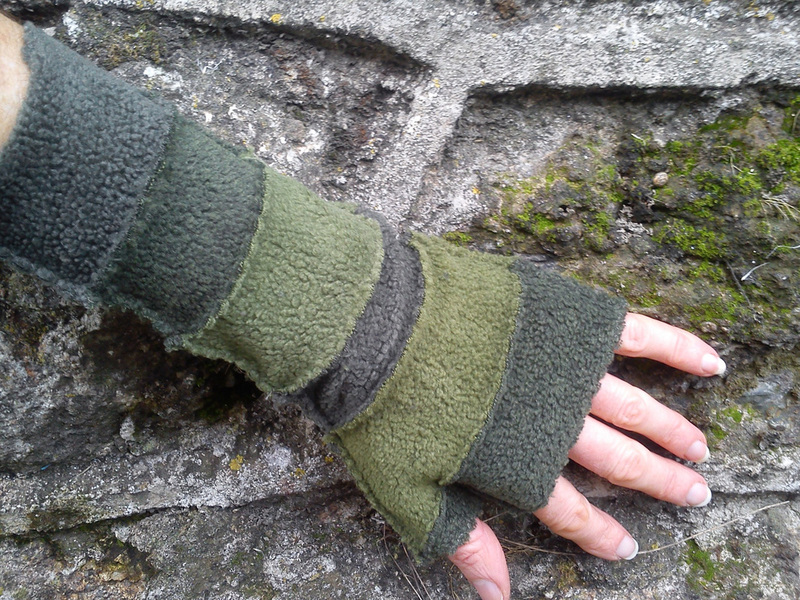 So many yummy possibilities with colours shades hues and width/number of stripes - create your own unique pair! 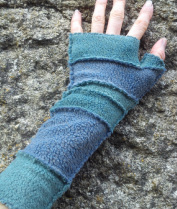 soft subtle colours together or bold contrasts..
New for 2014 will be using applique on garments and mittens, eg. leaves cascading down one side of a skirt, or making a delicate pattern on a jacket.....such things have been in my head for a while now, awaiting the space and time to be actually made and worn. maybe also i will finally make some trousers! a lovely outfit i recently made, created by a lovely customer. Trousers will be the next new style. A progression from the skirts. They are in my head - just need to make them out of fabric! 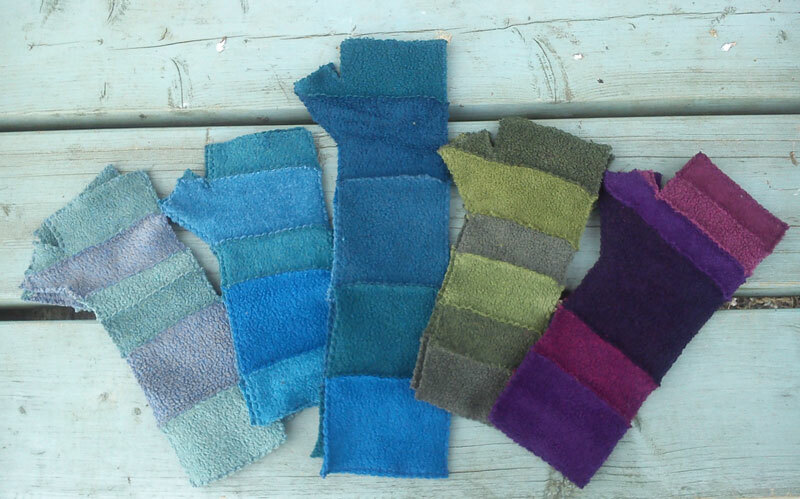 Black, olive, fuchsia, pale blue, mauve, plum, cream, navy+silver and rich brown. 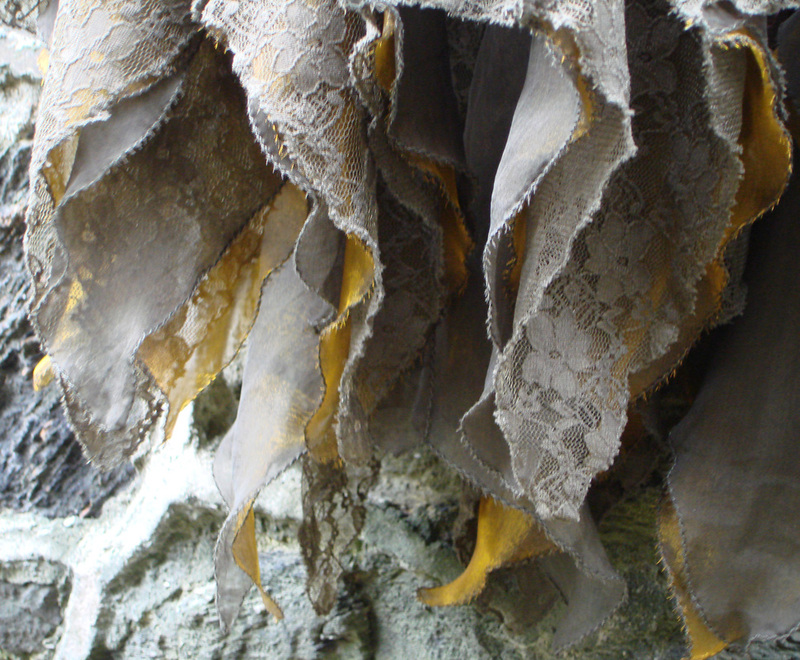 Silk and organza at the hem creating a beautiful effect with colour and texture and movement. 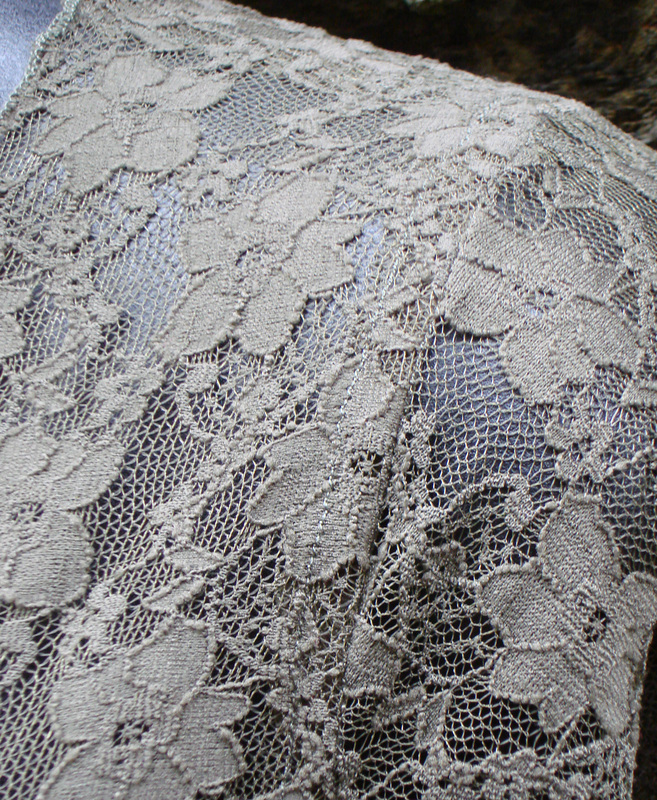 detail of the lace fabric. A special dress in stretch lace (so feels comfortable) with silk and organza inserts at the hem. whilst working on these new dresses i was pleased to discover that thinner shoulder straps work well (see the photos above) even in the lace. next off the design board is a black lace dress with flashes of silver at the hem, of course any colour can be chosen and the possibilities and effects are exciting. 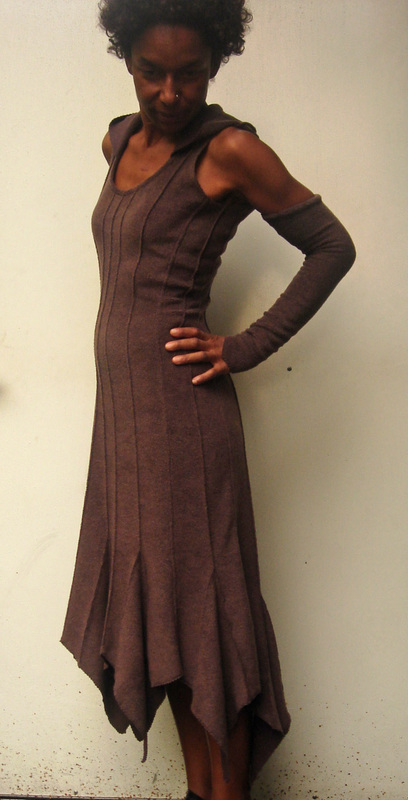 Below is another dress with lace variation; Dr8 with lace at the hem and/or sleeve edge. all limited addition and while stocks last. many colours. With creative use of colour in the inserts it is possible to make beautiful eye catching effects.